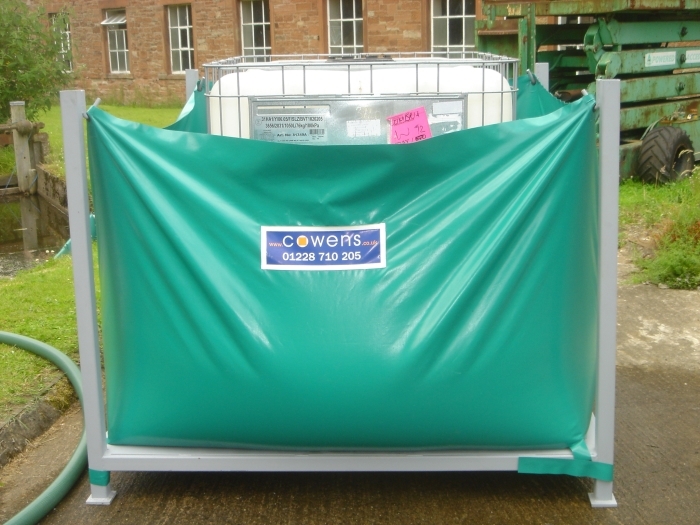 The Cowens Portable Bund for IBCs and up to 5 drums provides bunding from the moment the IBC arrives on site. Thereafter during transit around your site and in storage, the IBC is fully bunded against valve or container failure or tampering. The stillage is robust steel construction, with 4 side fork lift truck entry. 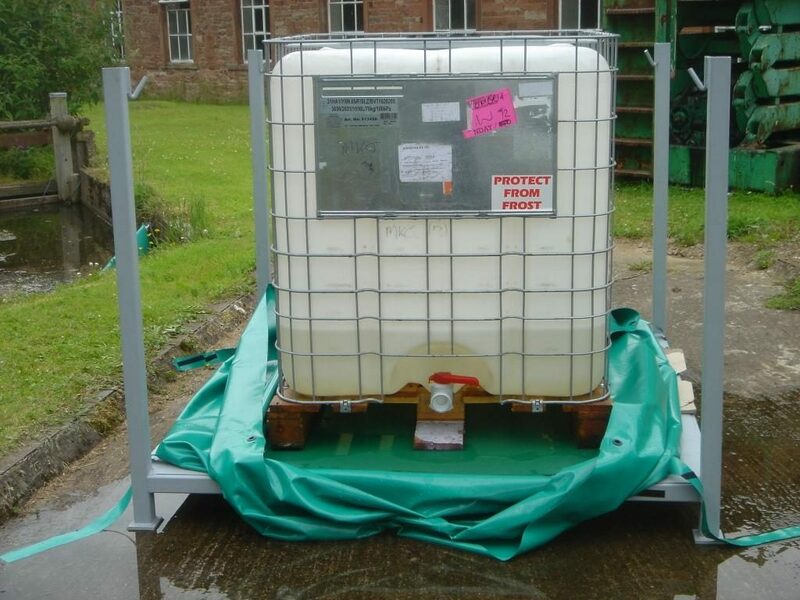 The Portable IBC Bund is made from flexible but strong PVC, enabling the material to be lowered and tucked under the unit during IBC loading, then lifted and attached to the stillage uprights for bunding. The unit has been tested with 110% x 1000 litres of water and the photo opposite shows how well it copes. Whilst the water level equalises out at only one third of the height of the bund wall, the extra material provides some containment for punctures in the IBC that might otherwise spray over the top of the bund wall. A lower bund wall can be ordered if preferred. 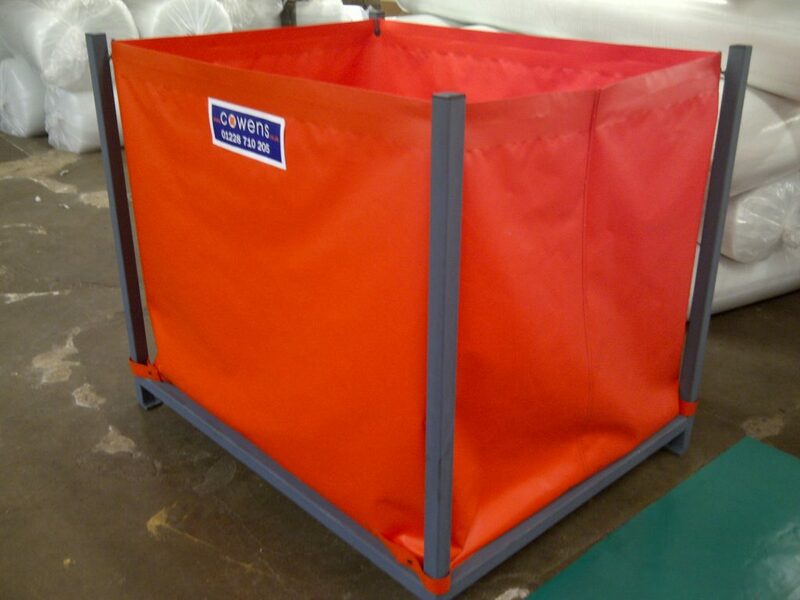 With a reinforced PVC base, the bund will last indefinitely, but is completely detachable and replaceable should an accident occur.